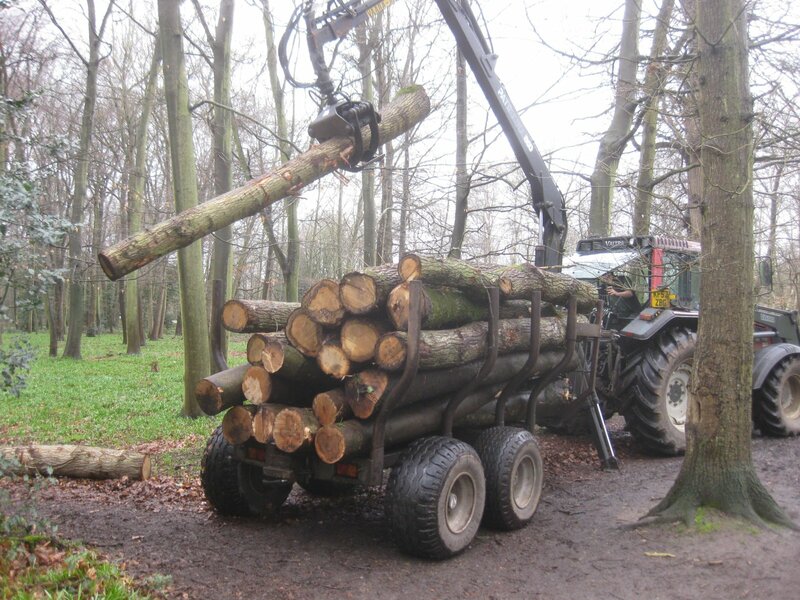 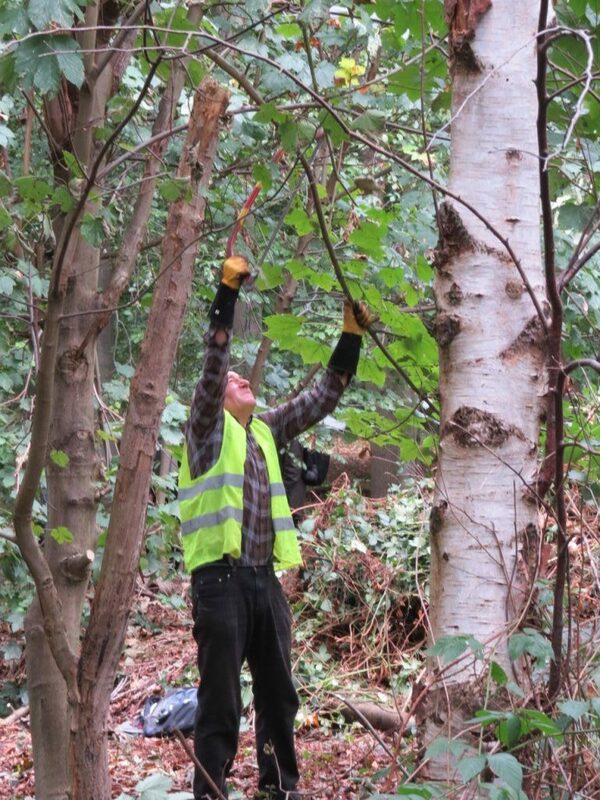 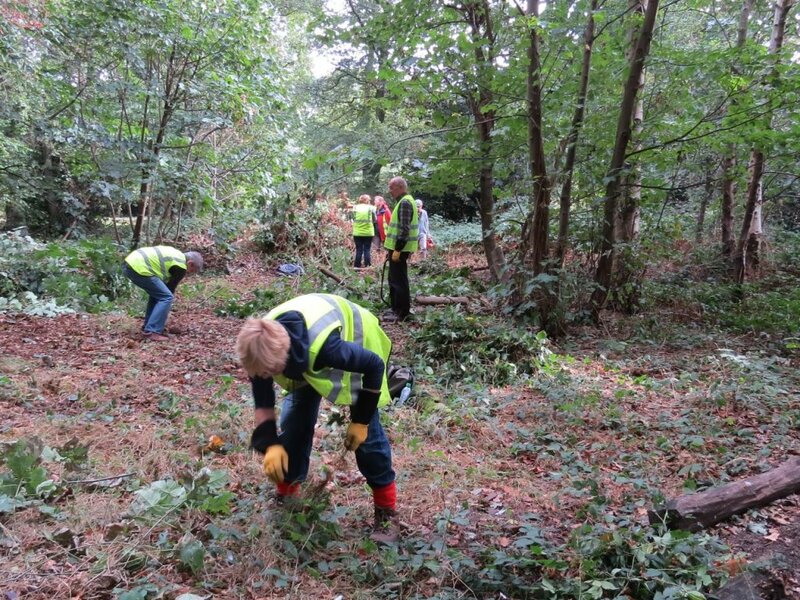 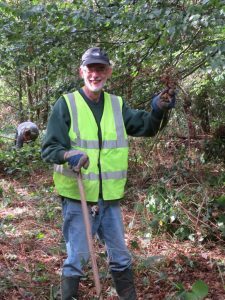 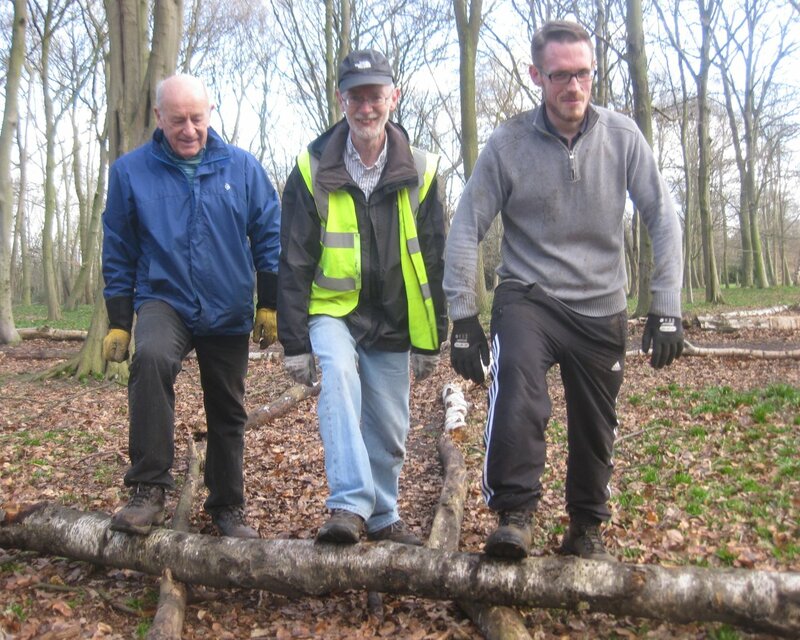 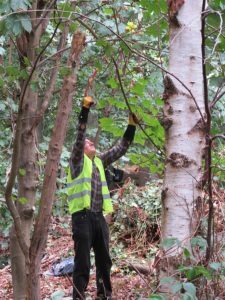 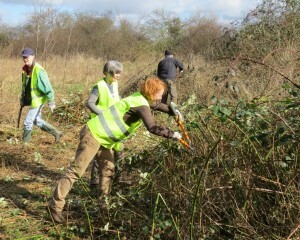 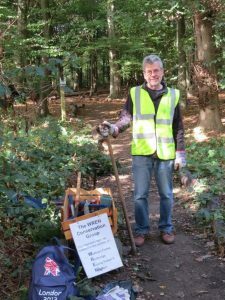 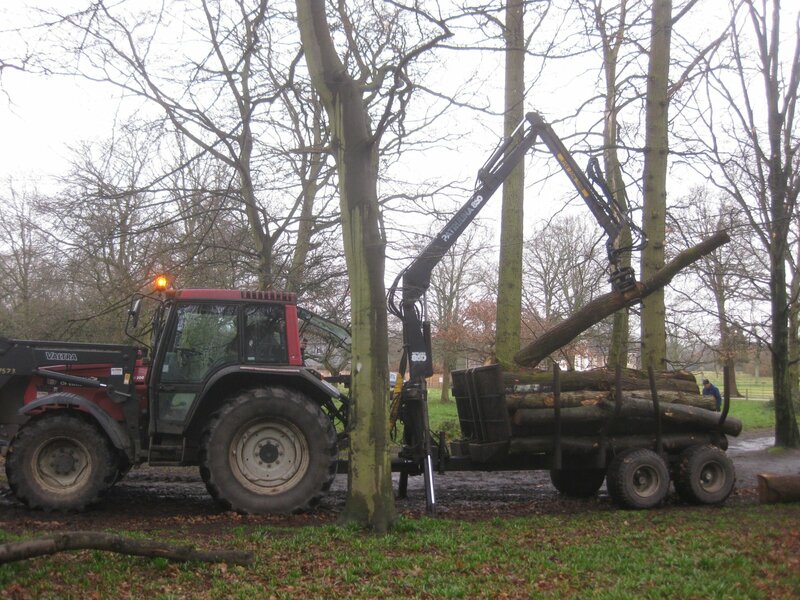 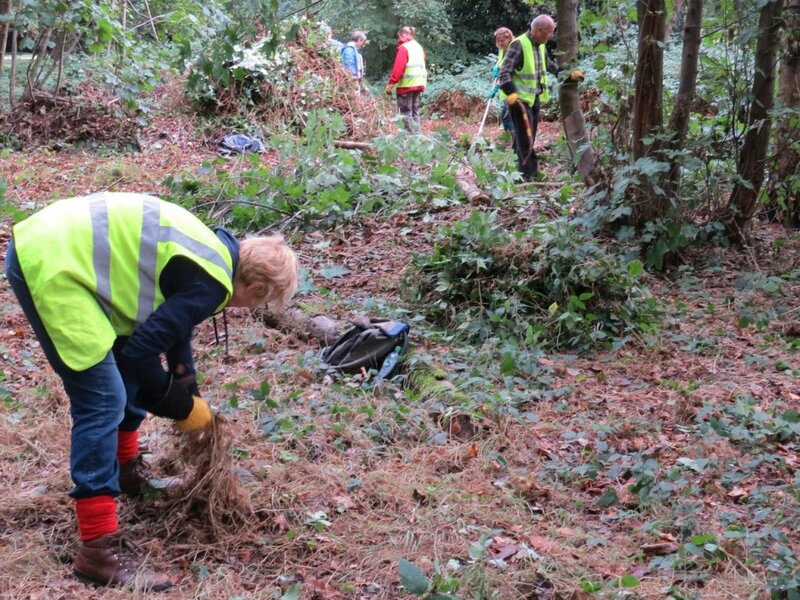 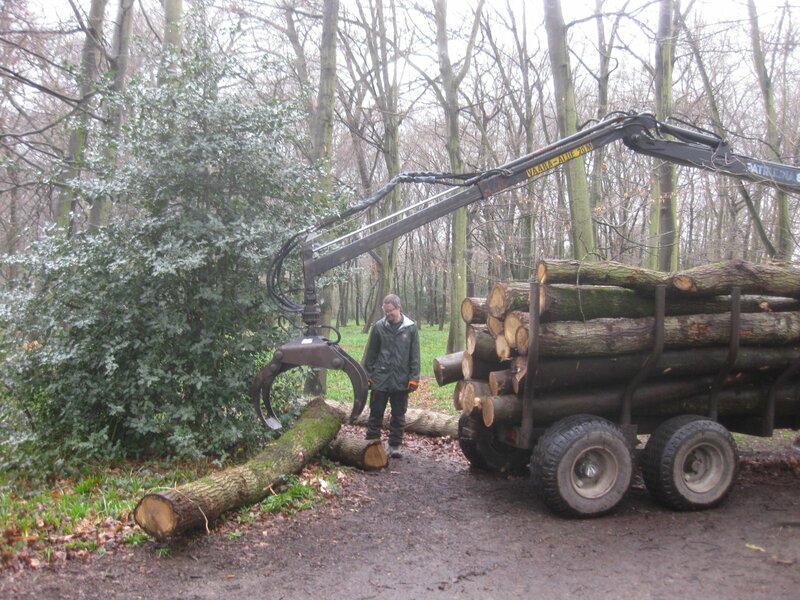 We spent a lovely morning when we should have been clearing brambles watching Richard and his team expertly placing these huge and heavy oak logs along the side of the main path in the bluebell Wood. 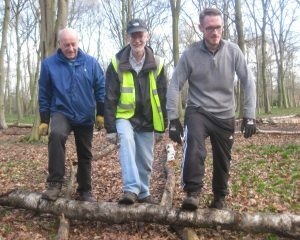 Perfect for sitting and balancing on! 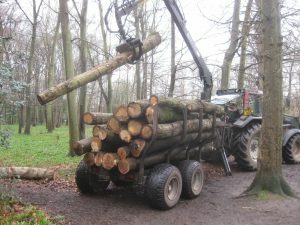 The machine was too big to get in the middle of the wood while the ground is so wet and the bluebells in full growth so they will come back after the bluebells are over, probably next Autumn, with another load of logs.